People are always surprised to hear that Craig is the one who discovered Cherokee Purple ("You mean the Cherokee Purple at nurseries all over the U.S.?" -- "Yes, that one!"). I tasted almost every variety and there were so many great tasting ones that I can only remember the one sole tomato that tasted really terrible. Copia, hands down. Sour, weird off-flavor and even with a liberal sprinkling of salt it tasted awful. Deceptively attractive to the eye but very rough on the taste buds. Now I know why there was so much hype written about this variety. It needs all the hype it can get to disguise the fact that it looks much, much nicer than it tastes. I'm glad I only got to eat the one tomato that the 3 foot wide 15 foot long plant put out. What a waste of space!!!!!!!!!!!!!!!!!! Anybody want some free copia seeds. I will pay for the postage and handling too. Copia - probably also the worst tasting tomato of Tomatopalooza IV! It is legendary...but not in a good way! Thanks for the heads up on Copia. 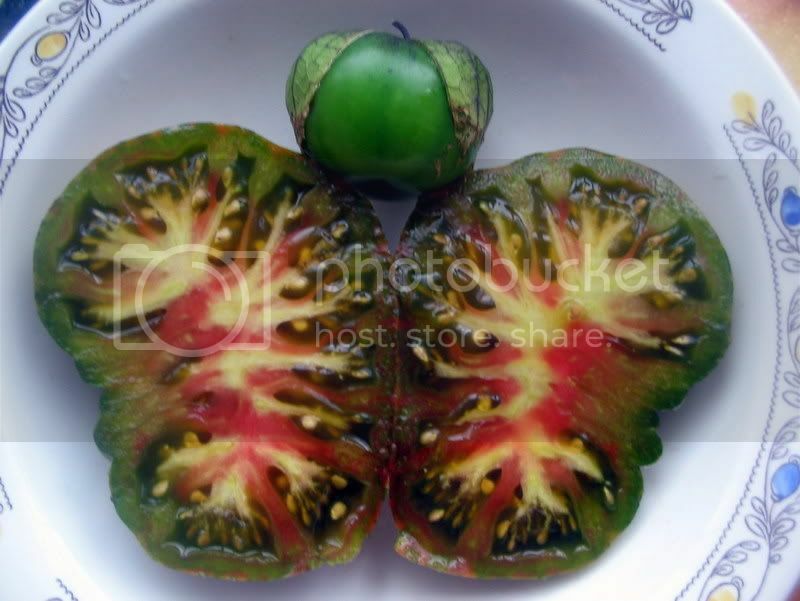 I'll take the concensus from the tasters at Tomatopalooza over my uninformed perusing of seed catalogue "fantasy" hypes. 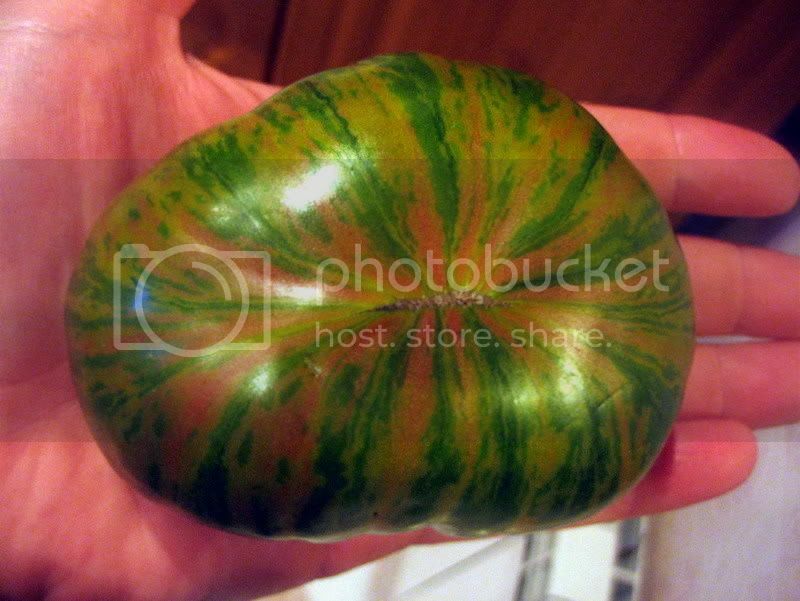 I've now removed it from my list of future tomatoes to grow. Wow, that bottom photo should be the 2007 Tomatopalooza Christmas Ornament. The tomatoes form the dwarf table were very impressive. The taste, size an productivity. (Sleazy and Summertime were all very good) It was also nice putting faces with names. I remember speaking with you now. It is nice to place a face with a name. I wish I had watched the crossing demostration with you. That would have great.